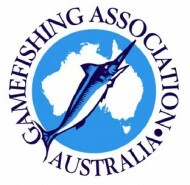 The West Australian Game Fishing Association was established in 1949 and is a member of the Game Fishing Association of Australia. The Association co-ordinates the activities of game fishing throughout Western Australia and maintains State game fishing records. It has a major role in advocacy on behalf of its member clubs and game fishing in general.